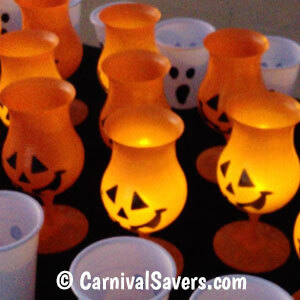 DIY Halloween Carnival Game Idea - Ping Pong Pumpkin! Battery Powered Tea-Lights Look Great at Dusk! Decorate Your Own Cups for a DIY Halloween Game! 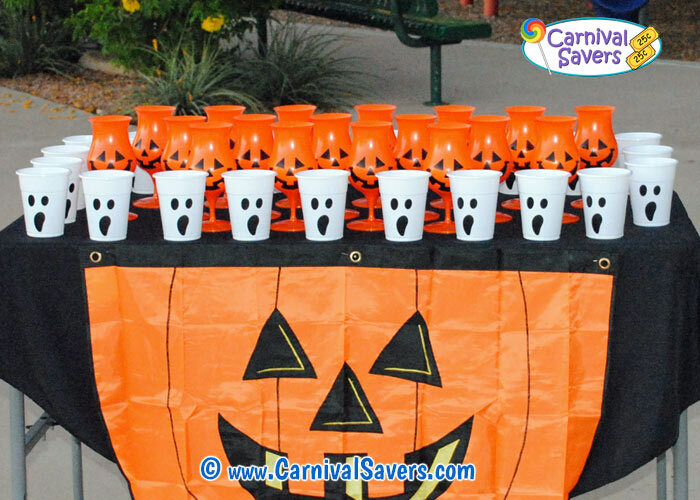 Before the carnival, set up your table with the Halloween themed decorations and cups. Next, using packing tape, be sure to secure each cup on the bottom to the table - you don't want your cups tipping over during the game. Finally, turn on the Battery Operated Tea Lights and add into only about half of the pumpkin cups. Children are given 3 Table Tennis Balls (Ping Pong Balls) - to make it easy you can place the balls into a ghost cup to hand each carnival player! 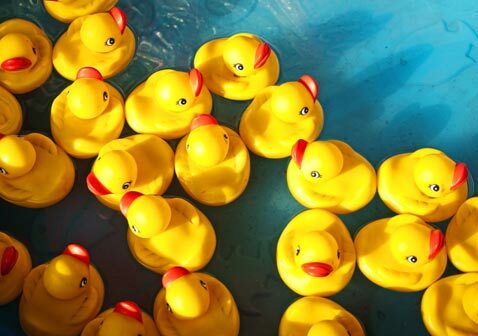 Note: this entire game can be a DIY homemade game!! 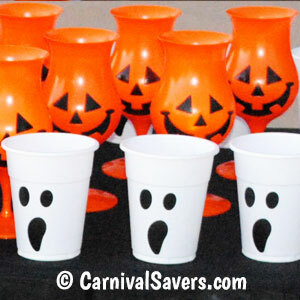 Simply purchase orange and white cups and use a permanent marker to make the pumpkin and ghost faces on the cups. Don't forget your battery operated tea lights and table tennis balls too! DIY HALLOWEEN GAME SUPPLIES and PRIZES for PING PONG PUMPKIN!